For some year now I haven’t grown turnips because I’ve been under the impression that I’m the only person in the family that likes them. 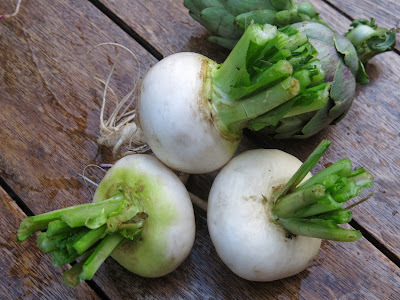 I think I was given a packet of Bianca Lodigiana turnips (a white variety from Lodi, south of Milan) from Franchi Seeds this year and sowed them in a rather offhand way in a spare bed at the beginning of the season. They repaid me for this neglect by coming up sweet and nutty, round and wonderfully unblemished, all at once of course thanks to my lack of successional sowing. It clearly pays to have the soil well-prepared. Turnips are a brassica (Brassica napus), so prefer slightly alkaline conditions in favour of acid. You can either lime the bed beforehand or if you think your soil ph is fairly neutral, use spent mushroom compost as manure. In any case, brassicas tend not to like freshly manured ground, so if you can use a bed which you manured the previous season, this should be ideal for them. In this case, the turnip bed had been used for sweetcorn, beans and squash grown in a three sisters formation, all greedy crops requiring plenty of organic matter. The seeds can be sown in March for a summer crop as I did, or continuously throughout the summer to provide roots through to late autumn and into winter. 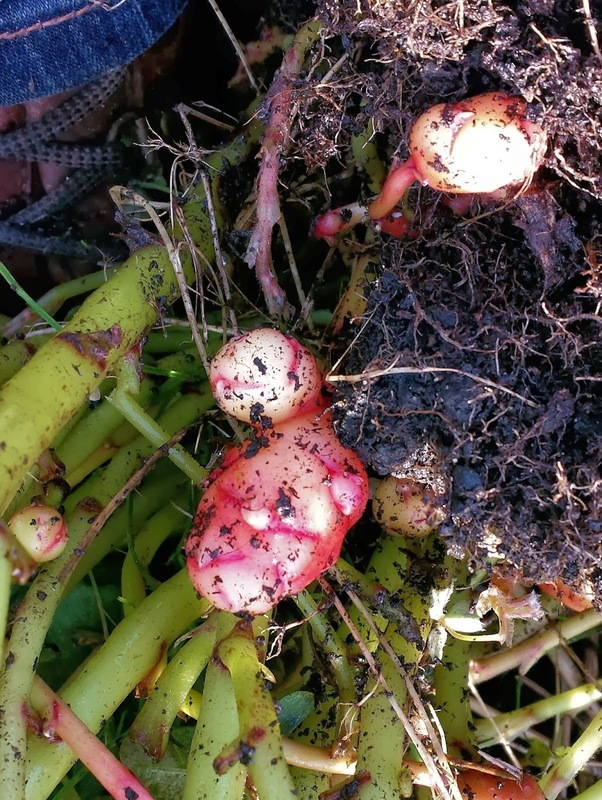 Other tips for good turnips include not letting the growing plants dry out at any stage, or else they will become woody, and also being ruthless with thinning the crop at an early stage. I often find it difficult to pull out what look like perfectly healthy seedlings: psychologically it helps if I then eat the thinnings, in a salad, or used as green garnish. Then I feel as though I'm harvesting, rather than wasting good plants on the compost heap. 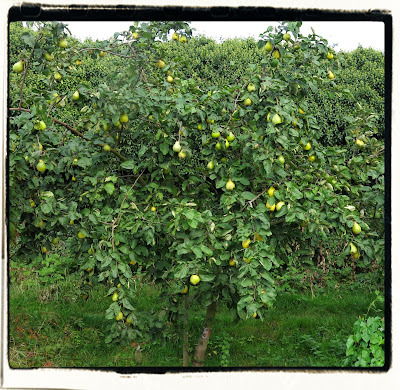 We picked and ate them when still young - about the size of a satsuma - and snowy white. They were delicately sweet with that slight mustardy tang, and were hugely popular with everyone. The most entrenched turnip sceptics were particularly won over by having the smaller ones glazed whole – cooked with butter and a little sugar as you would for glazed carrots. Picked young, you also get the benefit of the tops, which can be cooked like spinach for a delicious fresh green. Another similar brassica, kohl rabi (Brassica oleracea), did well too. Last year I grew the variety Delicacy Purple, sown in March the same way as for the turnips, and which cropped from July to November from a single sowing – I was pleasantly surprised by how long the season lasted. I've always liked kohl rabi which to me taste like sweet broccoli stems - my favourite part of broccoli! The flesh of the swollen 'bulb' is a pale creamy-green colour, no matter what the colour of the skin. 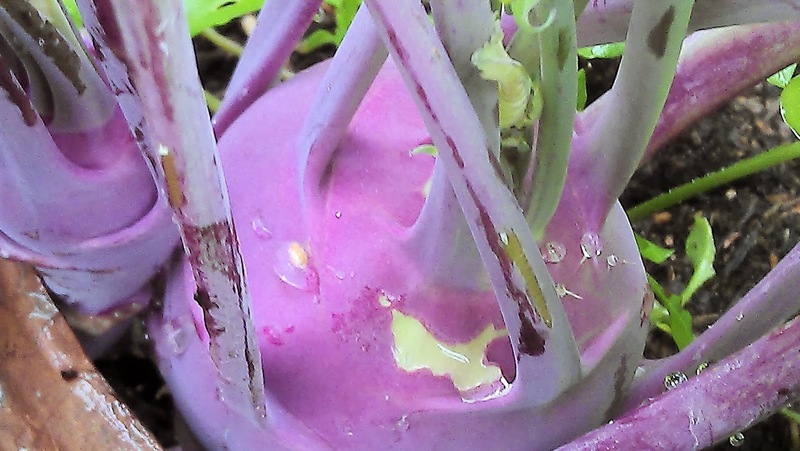 In theory, kohl rabi can be prepared and eaten like turnips. In practice, mine usually end up in a salad, often with an oriental style hot, sweet dressing. I'm also happy to give them a perfunctory peeling and then munch on the kohl rabi as if it were an apple - and just as refreshing. The multi-coloured carrots have been requested by my son who enjoyed enormously our forays into purple carrots a couple of years back. Nowadays we think of carrots as being uniformly orange, but until the 1500s people would have eaten white, yellow or purple carrots. 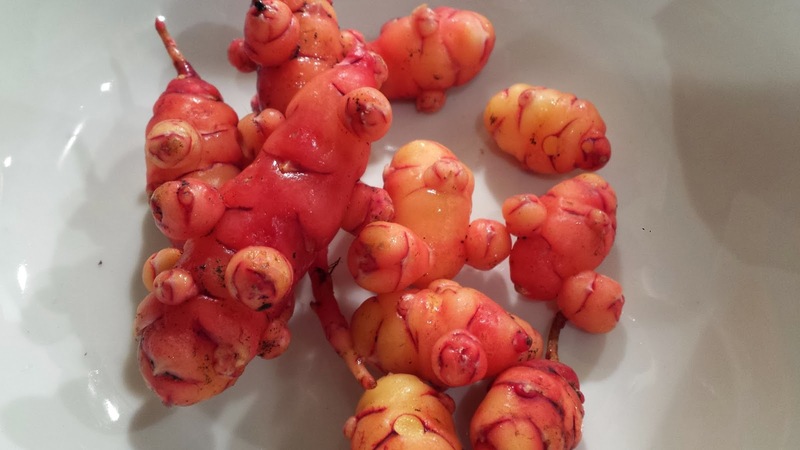 Orange carrots were bred and popularised in Holland to reflect the Dutch national colour, and spread across Europe. This year I’ve sourced some purple carrots and also a bright red variety, Atomic Red, from Seedaholic in Ireland, as well as some yellow and white ones from Seeds Of Italy. We’ll try to outwit the carrot fly with some companion planting, with fleece and with growing them up high where the carrot fly can’t reach them. In theory, anyway. 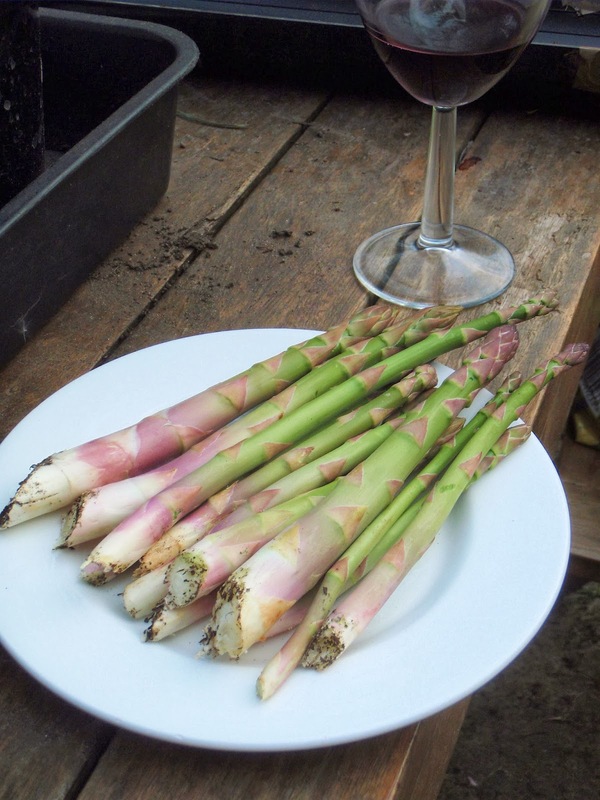 I’m planting out a new asparagus bed this year and I’ve heard that the purple varieties are sweeter than green, so have ordered 10 Crimson Pacific crowns from Victoriana Nurseries. I’m not giving up on the green version though, still growing my favourite Connover’s Colossal as well. I’m buying one year crowns which I’ll plant out in the new bed this spring although they shouldn’t be harvested either this year or next (I bet I won’t be able to resist trying a spear or two next year). 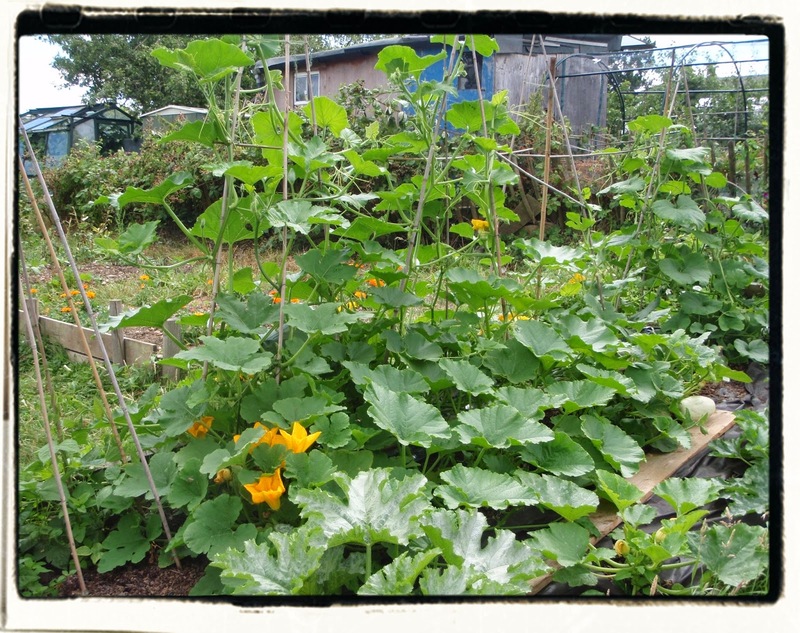 So I’ll keep the old bed going as well and won’t dig that over until 2016! I’m refreshing the raspberry canes as well after ten years. We’ve now got creeping cinquefoil (Potentilla reptans, I think) in the bed which is proving mighty difficult to remove without damaging the existing canes so I have decided to get rid of the dastardly weed as a first priority and replace any canes which have to be sacrificed to the cause. 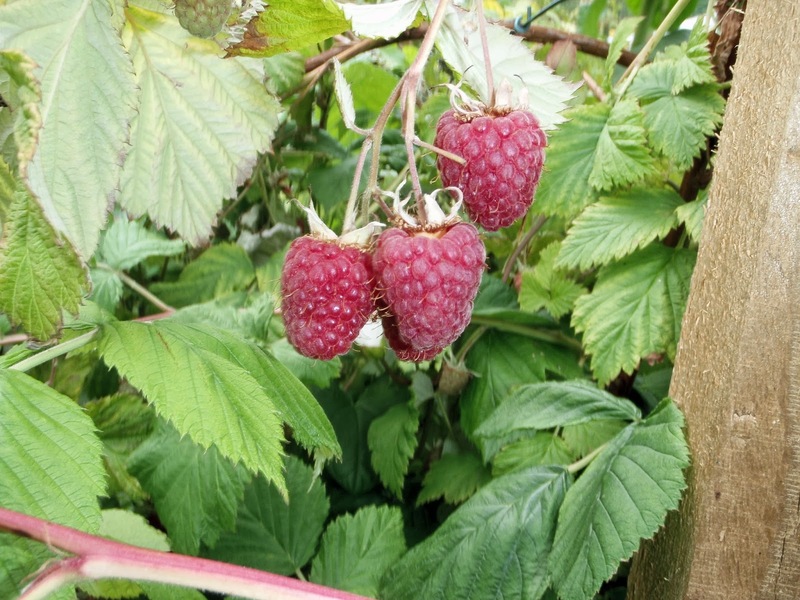 I've been looking at multicoloured options here as well: All-Gold raspberries are available from several supplier, as well as the purple Glen Coe, although these are eye-wateringly expensive compared to the red and yellow varieties. Alongside the oft-repeated resolutions to eat more healthily (perhaps, even a tad less), to drink more healthily (and less of the hard stuff), I have a few allotment-related pledges this year. Who's with me? 1. 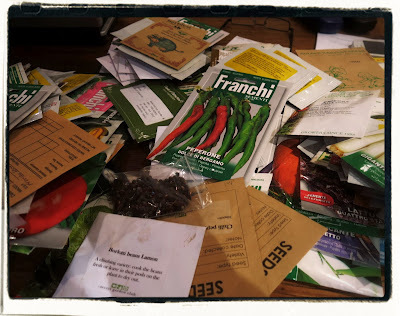 I will sort out the seed box ... instead of finding an empty packet when it comes to sowing time, or assuming I've run out and then discovering I've just bought a duplicate. 2. I will make more use of seed swaps, bartering with friends, the allotment trading hut ... more interesting varieties often found that way. 3. 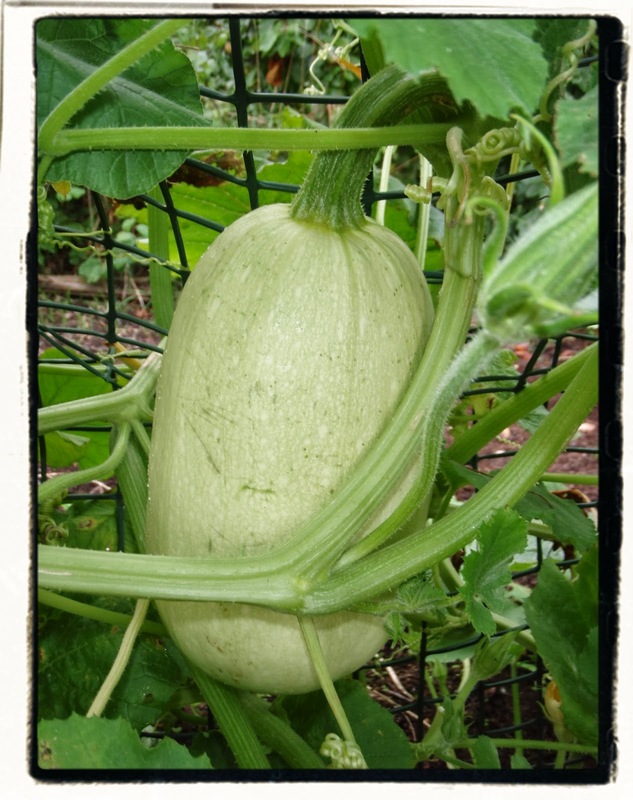 I will put up a proper squash trellis so that the pumpkins grow upwards instead of sprawling all over the allotment ... then I won't trip over them and I'll be able to mow the grass properly. 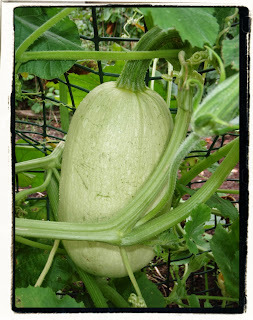 Pumpkins being trained upwards rather than outwards. 4. 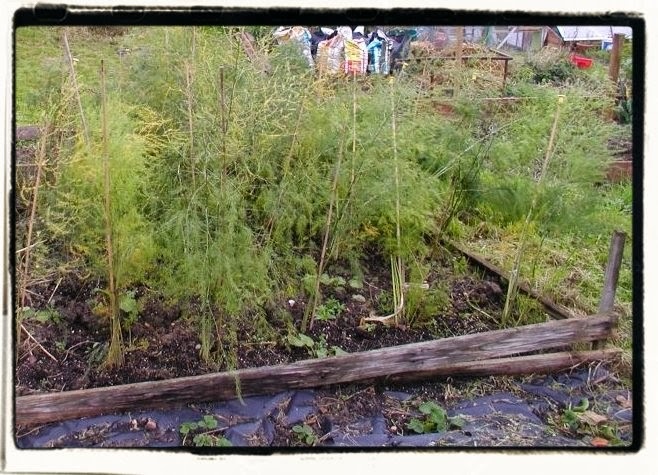 I will not let the weeds get out of control in the asparagus bed ... because it only makes them worse. 5. 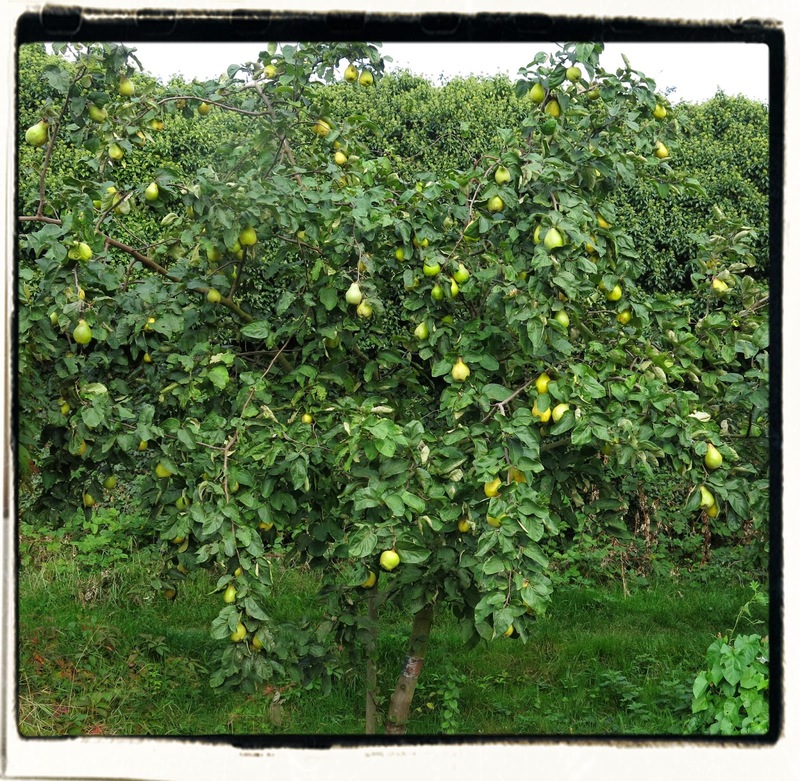 I will not mind if the quince tree doesn’t set much in the way of fruit this year ... since it is probably exhausted after producing such a glut last autumn. 6. I will clear beds promptly so that I can sow again later in the season ... because in the rush to get new crops planted out I usually let the whole idea of successional sowing slide out of view.